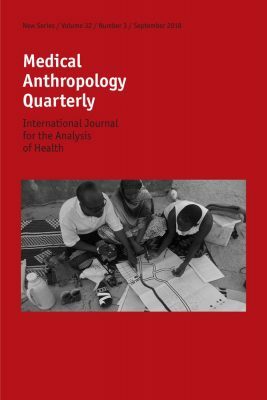 This article draws on ethnographic research on the implementation of Vermont’s 2013 medical aid-in-dying (AID) law to explore a fundamental paradox: While public discourse characterizes AID as a mechanism for achieving an individually controlled autonomous death, the medico–legal framework that organizes it enlists social support and cultivates dependencies. Therefore, while patients pursuing AID may avoid certain types of dependency—such as those involved in bodily care— the process requires them to affirm and strengthen other bureaucratic, material, and affective forms. By tracing the social phenomenology of several AID deaths, I illustrate how AID results in distinctive forms of sociality and dependency that require terminally ill people and caregivers to embrace a collaborative stance toward choreographing death. I argue that assisted dying offers an opportunity to resist dominant U.S. cultural narratives that view dependency in purely negative terms and reimagine the relationships between disability, dependency, and care at the end of life.